response from property - Nov 02, 2015 Thank you so much! Kept in good shape for the most partsubmitted by Spencer W. - Oct 30, 2015 |Recommended: YesIts a nice quiet place to live. Could add some grass in specific areas to get rid of all the mud. response from property - Nov 02, 2015 We would love to talk more about the areas that need more attention! Stop in the office so we can see the best way to fix it! 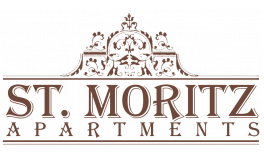 Recommend Overall submitted by Steven V. - Sep 30, 2015 |Recommended: YesAfter early disappointments with maintenance and management's lack of communication during the power outage due to the Dec 2013 freeze, I have generally been pleased living at St. Moritz. Would recommend based on overall value. response from property - Nov 02, 2015 Thank you! If there is every anything we can do, let us know! The 3 month lease option worked out great for my short term trip to Dallas.submitted by Sue M. - Sep 29, 2015 |Recommended: YesThe property is well taken care of. When I did need maintenance it was performed in the same day. It was nice to have the two pools. Overall, it's a good place to live. Convenient location and nice propertysubmitted by Carol S. - Aug 26, 2015 |Recommended: YesGreat location, with good floor plans and prompt maintenance. response from property - Aug 27, 2015 Thank you so much! If there is ever anything we can do please let us know! Better than other properties aroundsubmitted by Rahul Y. - Aug 02, 2015 |Recommended: YesI would say its better than the properties around. But the staff service level and monitoring needs to improve. I had to check for a package which was delivered to the office, at least thrice in two days before the office acknowledged that they have it, even though USPS said they delivered it to the office from the beginning and also we lost a package which was left at the front door by UPS. response from property - Aug 03, 2015 We are so sorry about that! We accept packages as a convenience for our residents, unfortunately until the package is in hand we have no way of tracking or monitoring its location. Please let us know if you're consistently having issues tracking or monitoring packages and we would be happy to reach out to the carrier for you. response from property - Aug 03, 2015 Thank you so much for your kind review! We love to help out anyway we can! response from property - Aug 03, 2015 Thank you so much for the compliments, we are happy to help out any way we can! Great Locationsubmitted by Joseph W. - Jul 09, 2015 |Recommended: YesOverall it's a very nice place to live. The units are older now and some items need replacing. Anytime we've had an issue it was fix quickly. response from property - Aug 03, 2015 If you have some time we would love to talk about the specifics! Thank you! DEAR GOD I'M IN HEAVEN submitted by Matthew G. - Jun 23, 2015 |Recommended: YesSeriously. I've died and gone to Heaven. All I can say is the staff is by far the best part about this place. It's as if they're psychic or have super powers or something. They always know how to make things better. Heck, I walk in the door and my neck had been hurting me all day. Next thing I know, BOOM I get a neck massage. Or the other time I was sitting in my apartment and felt kind of hungry. BOOM They were at my door with some Chick-fil-A. Heaven is just a wonderful place to live. Actually, I'm sorry. I'm talking about St. Moritz still, not Heaven. My apologies. I tend to get them confused. response from property - Aug 03, 2015 Hilarious! Thank you! We enjoy living at St Moritzsubmitted by Steven H. - Jun 18, 2015 |Recommended: YesFor an apartment community, we really have limited complaints. All the staff we interact with are GREAT. They make every effort to accommodate reasonable requests. We have not experienced any noise level issues in the 3-months we have lived here. Parking isn't the best, but it is sufficient. I am concerned that once the units start to fill back up that we won't be able to find a parking spot near our unit. Many units are vacant now for remodeling. The pools are not in the best of shape. Tiles falling off the side, etc...my kids really wish the pools were bigger. The pool by the main office is the nicest. The one in the middle of the property is small and the water is not as clear as the main pool. I do find it odd that grass turf is such an issue on a property that prides itself on keeping things up to par for the most part with our golf course next door. I suggest planting St Augustine instead of Bermuda in the tough spots...I think you will find it works much better. The units are well laid out, but foundation problems persist throughout the apartment. Uneven floors and cracks in the walls. The owner keeps up with these issues, but it is noticeable. Given the age of the property, I think this is a great place to live, one of the best kept secrets in Dallas for sure HVAC units are old and seem to run continuously to maintain temp at 75. I am concerned about the electricity bill during the summer. So far it hasn't been too bad, but it has been a mild Spring thanks to El Nino. response from property - Jun 19, 2015 Thank you for the feedback! We are constantly working to improve and maintain the property. It is great to know we have residents that will take time out of their days to let us know of issues on the property that we may have overlooked. We have great news! We have been working with a Landscape Architect to draw up plans for a total "overhaul" of the landscaping specifically targeting the grass (it is very hard to grow in areas that are heavily shaded) and shrubs on the property. Rather than do it piece by piece, we plan to do everything at once to keep a uniformed look. We will keep everyone updated as we make progress but we are hoping to plant in Fall. I will have our maintenance team address the back pool and come check to be sure your A/C is serviced and running properly. Please let me know if there is anything else we can help with! response from property - Jun 17, 2015 Thank you so much for your review! If there is anything we can do to help you out let us know! I really enjoy living in this propertysubmitted by Adriana O. - Jun 02, 2015 |Recommended: YesYou live in a very quiet, secure, and clean environment. The customer service is excellent. Maintenance is top notch. Staff are friendly and helpful. As well, Great curve appeal. submitted by Pablo P. - May 31, 2015 |Recommended: YesIt's a great apartment community. The noise level is zero and people are friendly that live here. It's a great location since you are able to get on any freeway and get to your destination. response from property - Jun 01, 2015 Thank you so much! We are so glad you like your apartment home! Let us know if there is anything we can do to improve.